Manhattan is a city in northeastern Kansas in the United States at the junction of the Kansas River and Big Blue River. 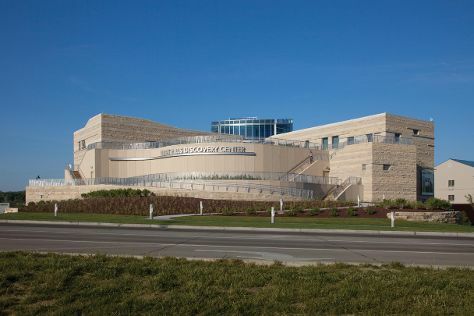 Kick off your visit on the 13th (Sat): engage your brain at Flint Hills Discovery Center and then tour the pleasant surroundings at Kansas State University Insect Zoo. To see ratings, more things to do, traveler tips, and more tourist information, go to the Manhattan visit site . Kansas City to Manhattan is an approximately 2-hour car ride. In July, daytime highs in Manhattan are 91°F, while nighttime lows are 68°F. Finish your sightseeing early on the 13th (Sat) so you can drive to Salina. Salina is a city in and the county seat of Saline County, Kansas, United States., the city population was 47,707. Start off your visit on the 14th (Sun): learn more about the world around you at Rolling Hills Zoo, take in the exciting artwork at SculptureTour Salina, and then cool off at Kenwood Cove Aquatic Park. To see reviews, photos, where to stay, and more tourist information, read our Salina trip itinerary tool . Getting from Manhattan to Salina by car takes about 1.5 hours. Expect a daytime high around 94°F in July, and nighttime lows around 70°F. Finish up your sightseeing early on the 14th (Sun) so you can travel to Coffeyville. Coffeyville is a city in southeastern Montgomery County, Kansas, United States, located along the Verdigris River in the state's southeastern region. On the 15th (Mon), meet the residents at Riverside Park and Ralph Mitchell Zoo, stroll through Safari Zoological Park, and then don't miss a visit to Browns Mansion. Find out how to plan Coffeyville trip without stress by asking Inspirock to help create an itinerary. You can drive from Salina to Coffeyville in 3.5 hours. Expect a daytime high around 91°F in July, and nighttime lows around 70°F. Finish your sightseeing early on the 15th (Mon) so you can travel to Wichita. Wichita is the largest city in the U.S. On the 16th (Tue), admire nature's wide array of creatures at Tanganyika Wildlife Park, then admire nature's wide array of creatures at Sedgwick County Zoo, and then don't miss a visit to The Keeper of the Plains. For where to stay, ratings, maps, and other tourist information, read Wichita trip itinerary maker site . Traveling by car from Coffeyville to Wichita takes 2.5 hours. In July, daytime highs in Wichita are 92°F, while nighttime lows are 70°F. Cap off your sightseeing on the 16th (Tue) early enough to travel to San Francisco. 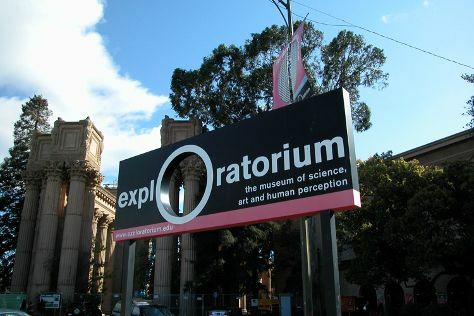 Attractions like Exploratorium and California Academy of Sciences make great kid-friendly stops. There's still lots to do: take in the views from Golden Gate Bridge, buy something for everyone on your list at Ferry Building Marketplace, don't miss a visit to Golden Gate Park, and tour the pleasant surroundings at Crissy Field. To find other places to visit, traveler tips, maps, and tourist information, you can read our San Francisco trip builder tool . Traveling by flight from Wichita to San Francisco takes 6.5 hours. Alternatively, you can drive; or do a combination of bus and train. The time zone difference moving from Central Standard Time to Pacific Standard Time is minus 2 hours. Plan for a bit cooler temperatures traveling from Wichita in July, with highs in San Francisco at 73°F and lows at 57°F. Wrap up your sightseeing on the 20th (Sat) to allow time to travel back home.